Black Friday is upon us. As much as we try to avoid the commercials, sales advertisements, and discussions, it is inevitable that you will see something on television, review the advertisements out of curiosity (or temptation! ), or wind up in a conversation with others regarding whether or not you will be participating in the shopping frenzy. Some avoid the day altogether. I find, unfortunately, that for one reason or another, I will be out that day – and “rationalize” a stop at a store or three. Over the years, as discussed in the previous article, I’ve managed to develop a strategy for shopping appropriately for my budget on Black Friday. 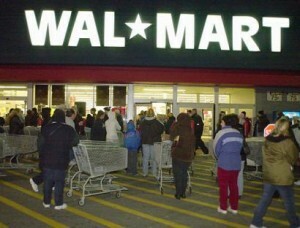 If you are careful and plan accordingly, you can cheat Black Friday. Don’t focus on the so-called big-ticket items. The big-ticket items are the main lure to get you in the store; they are the reason for the stampede towards the electronics or toy section at the opening “bell” of Black Friday. Odds are, unless you’ve been camping out for hours or days before the event, these items will be LONG GONE before you make your way to the empty display. Instead, focus on smaller items. For example, last year I risked the high tides for excellent deals on blu-ray discs. I paid for several discs what it normally costs for one, and thereby covered gifts for several people on my list. The added benefit is that there are generally more of these low-level items in the store, and since they aren’t the focus of everyone’s attention, you won’t miss out on the savings. Negotiate what you are willing to do for the items on your list. This means that you set your focus before shopping to prepare for the time and effort needed. For example, if you focus on smaller-ticket items, more than likely, you will not have to be in line when the store opens. For big ticket items, you may have to be prepared to wait in line outside to make it happen. For the aforementioned blu-ray discs, I walked into the store at the crack of noon and found more than everything I wanted. The late night wait and early morning rush were already concluded. I was surprised to find that the store already seemed to be in a recovery mode. In either case, you need to prepare yourself for the results. When I went looking for the discs at a later time, I negotiated that if the items I wanted were available, then great; if not, then I was fine walking out the door without them. By doing so, I knew I would have to create an alternate list and continue my shopping another day. I considered either result a victory: either I saved big on smaller items, or I wasn’t out any money. Changing your focus can help you cheat Black Friday. By focusing on smaller-ticket items, you should increase your luck of acquiring them, and can hopefully avoid some of the people and road traffic (OK, don’t etch that last statement in stone!). Negotiating what you are willing to accept in obtaining the items on your list allows you to develop a different shopping strategy. Either way, this strategy will have you swimming against the tide of the masses. You may actually be able to sleep in on Black Friday. Now tell me, doesn’t cheating Black Friday sound good? !